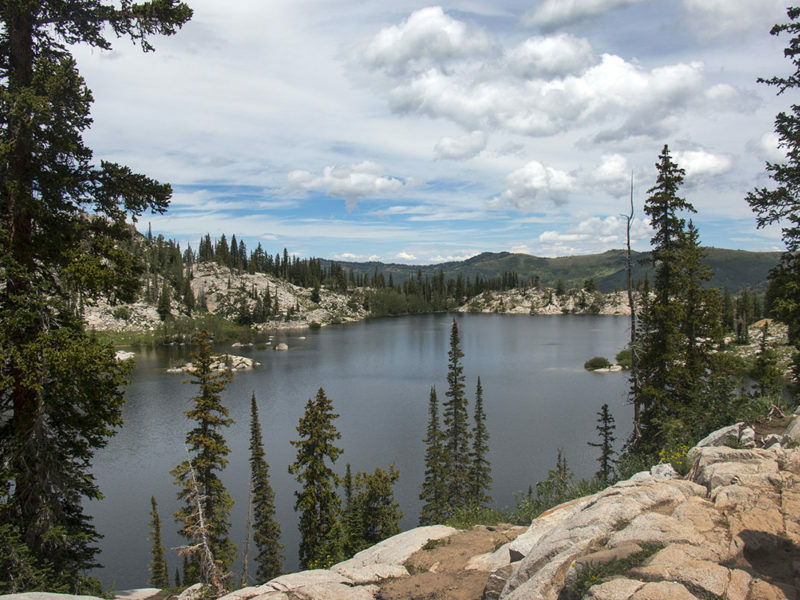 Lake Catherine is a small, alpine lake, high above Brighton, Utah. The hike to get there is a pretty steady climb, but it rewards you with some really breathtaking views and two more alpine lakes on the way. You start at the Brighton Ski Resort, where there’s a ton of parking. There are no open restrooms though, so if you need to make a pit stop, you can stop at the Silver Lake Nordic Center just down the street. The trail takes you up a meandering trail that goes up a ski slope. 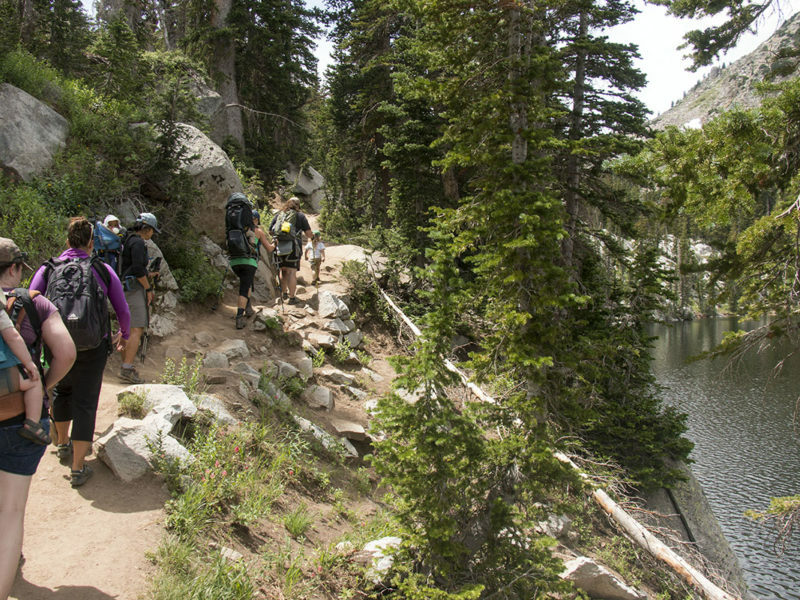 It’s only one mile to Lake Mary, which is a great spot to stop for lunch or for a snack. Lake Martha is right next to Lake Mary and is pretty small. There’s one short section of trail just after Lake Mary where the trail gets narrow and there’s a steep drop-off. 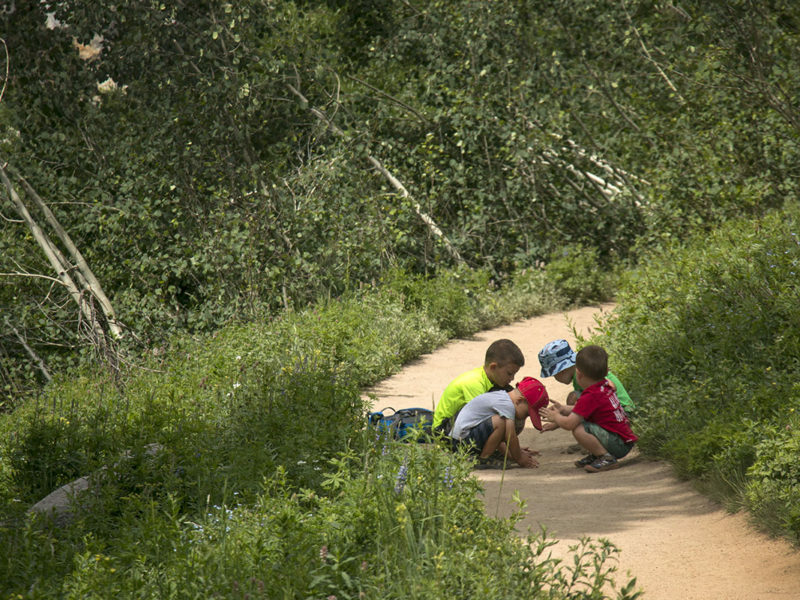 Kids will need help in that spot, but the rest of the trail is wide enough for kids. 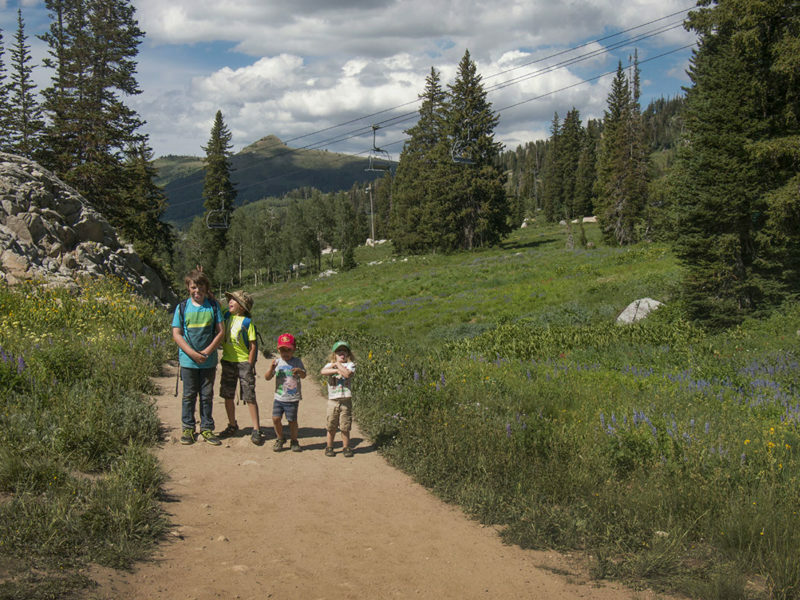 The trail is totally doable for kids, but since it’s uphill most of the way and a little on the long side, expect it to be slow-going. 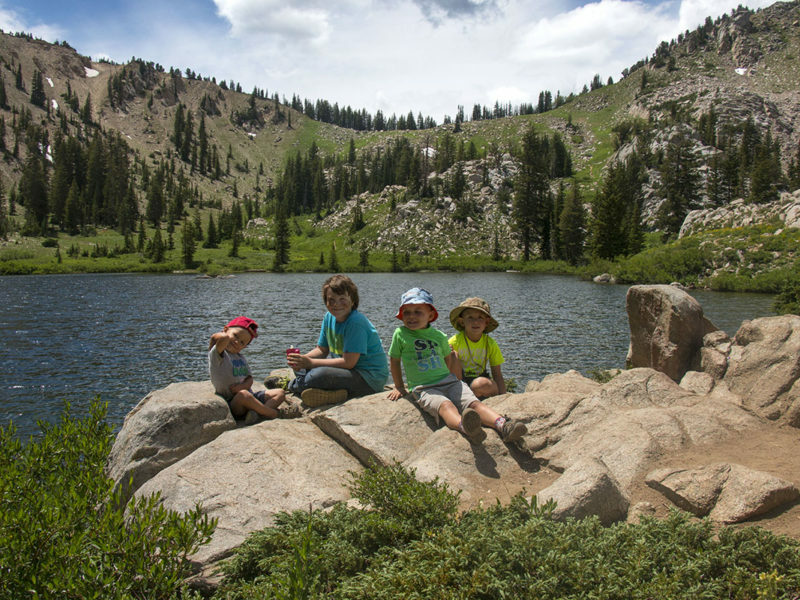 All of Big Cottonwood Canyon is a watershed area, so no swimming or wading in the creeks or lakes and no dogs. 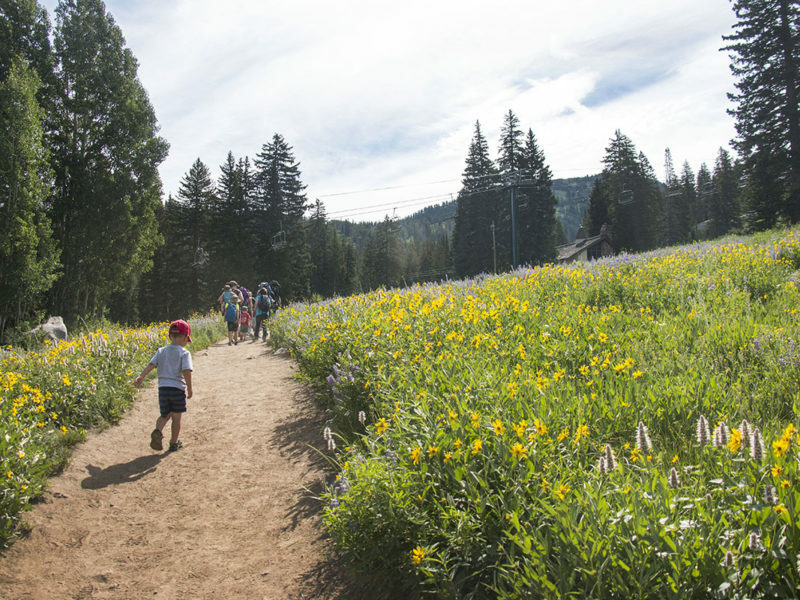 Amazing wildflowers in the middle of summer! We often see moose on this trail. Parking is at the Brighton Ski Resort, there’s plenty! From I-15, take the exit onto eastbound I-215/Belt Route. Take exit 6 onto UT-190 toward 3000 E from the second-to-righthand lane. Keep left and follow signs to 6200 S. Turn right onto UT-190/6200 S/Wasatch Blvd. Turn left onto UT-190/Big Cottonwood Canyon Rd. 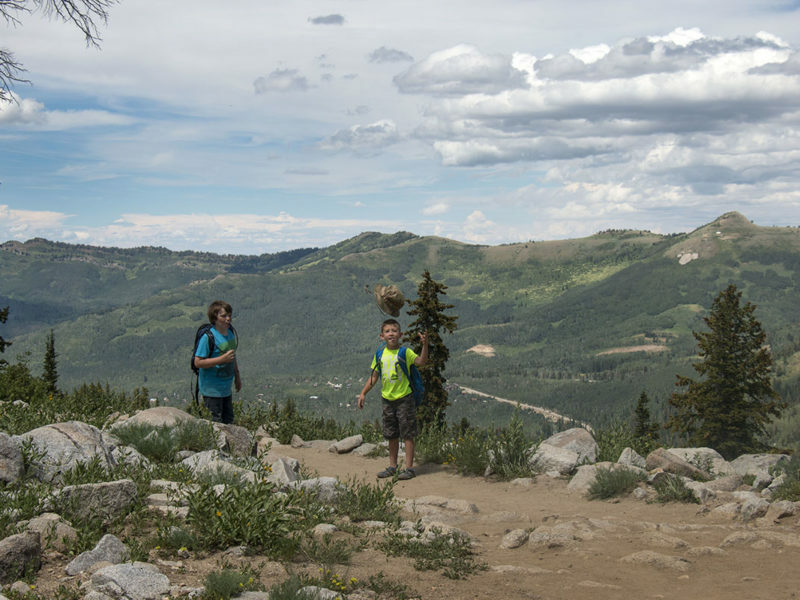 Head into Big Cottonwood Canyon and all the way up to Brighton. The road ends there in a loop. Park at the far end, close to the Brighton Resort.